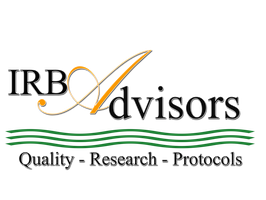 Peer Advisory Committee Membership - IRB Advisors, Inc.
develop your Human Research Protection Programs (HRPP), Institutional Review Board (IRB) or research enterprise with the help of other HRPP executives and learn about successes, lessons learned and get ideas from your peers. Learn from the best among you such as IRB Chairs, HRPP Directors, Institutional Officials, IRB Members, Researchers, Consultants and others who will lead group discussions, educate attendees and serve as meeting moderators. 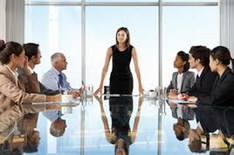 The role of the Advisory Committee Chair is to provide one on one mentorship, facilitate networking group discussion and host project planning initiatives but, most importantly to foster an environment of trust, leadership and wisdom. Members have been there, done it and seen it all. Together, they form a network that come to the table ready to discuss issues and help solve them. 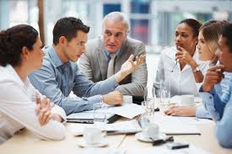 Group members always leave learning significantly more than when they arrived. Online Education via webinars etc.